Diplo: "Madonna's first single will come out early 2015 and will have a reggae vibe." 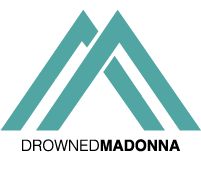 During an interview on the Australian tv show “The Riff” on Channel V, to promote the Stereosonic Music Festivl, Diplo talked Madonna and he said that the first single will come out early next year. Diplo added that the track, produced by him, is the notorious song with a reggae/dancehall vibe. Thanks to Francis for the news. Madonna is the richest recording artist! DJ Skrillex describes Madonna's new album: "Crazy, intense and so full on."